Interior Light Kit * Interior lighting sets an engaging glow by adding flair, individuality and atmosphere to your vehicle, whenever the mood strikes. 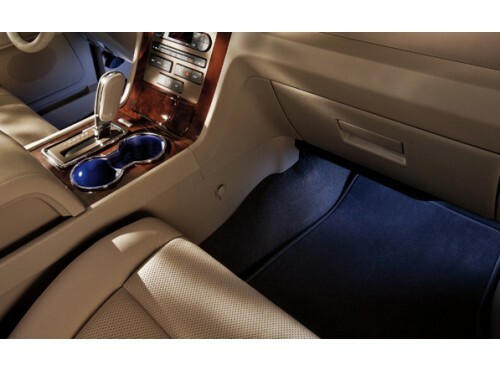 * Kit includes one LED-generated light in the cupholder area and a light bar in the front foot wells. * Set your mood by scrolling through your choice of seven color options to create the perfect setting and ambiance for any driving occasion.